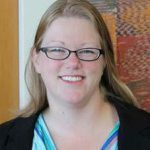 Lorraine (Laurie) Buis, PhD, is an assistant professor in the University of Michigan Department of Family Medicine and the School of Information, where her research focuses on the use of communication technologies for health promotion and chronic disease self-management. She has specific interests in consumer-facing interventions to reduce health disparities in underserved urban minorities and has extensive experience in the design, implementation, and evaluation of mobile health interventions for chronic disease self-management, particularly within underserved communities. Dr. Buis is principal investigator of an NIH-funded Randomized Controlled Trial (RCT) investigating the effect of MI-BP, a mobile app targeting multiple behavior changes to improve blood pressure control among uncontrolled hypertensive African Americans. She brings a multidisciplinary approach to studying chronic disease self-management and works primarily with multidisciplinary research teams. Dr. Buis completed a postdoctoral research fellowship at the Ann Arbor VA Health Services Research & Development Center of Excellence after obtaining her PhD in mass media from the Michigan State University Department of Telecommunication, Information Studies, and Media. Additionally, she holds a master’s of science in information degree with a specialization in human-computer interaction, from the University of Michigan School of Information, as well as a bachelor’s degree in psychology from Michigan State University.